We are running a Tigers team in the Tuesday evening Indoor League. All games are played at the Soccer Dome in Trafford Park (M17 8DD). Each batter receives only one pitch - if it's a strike or foul ball the batter is out, if it's a ball the batter gets a walk. Teams bat for a set amount of time rather than for a set number of outs. If a batted ball hits the roof (the actual roof - not the net over the pitch) the batter is out and the ball is dead. Scoring is similar to outdoors, one run per runner who crosses home plate. When a batter hits the far wall for a Home Run the batter, and any base runners, don't physically run the bases, they all just leave the pitch, with one run credited for each of them. A batter can be caught out even if the ball has previously hit a wall or netting. 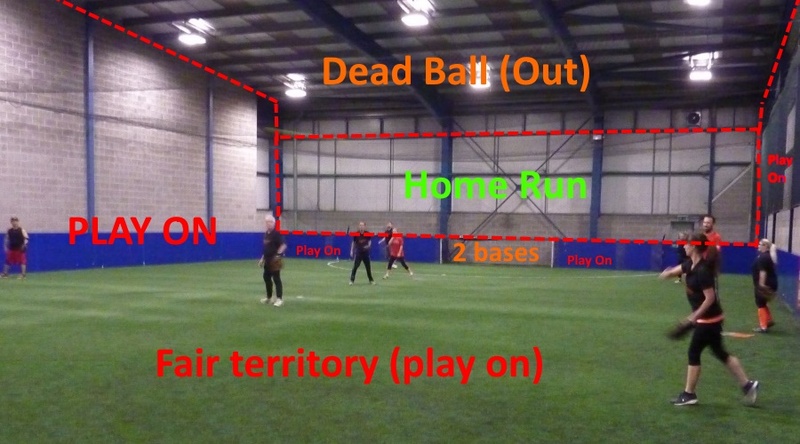 Indoor Softball is played on a much smaller pitch than the outdoor version and that means a different pitch layout. 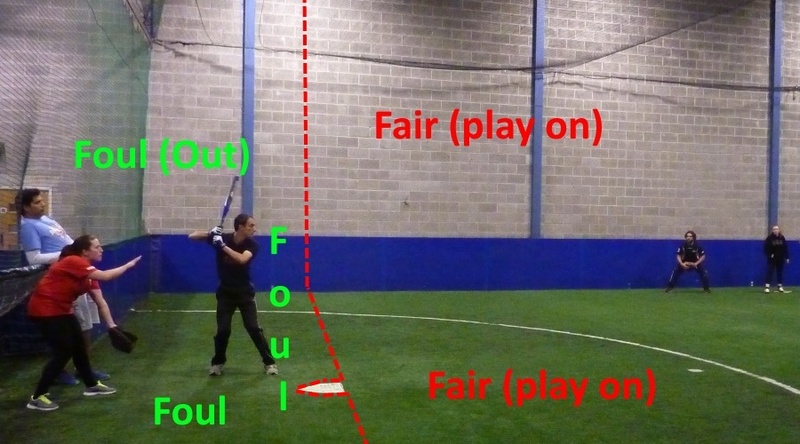 A ball that hits the floor is either fair or foul, a ball that hits a wall on the full may be a Home Run, Out, or Play On (note that a batter can be caught out even if the ball has first hit a side wall or the net below the roof).